Who Goes on the Verdict Form: Is There Causative or Fault-based Apportionment in Indiana? Apportionment in Indiana is governed by statute. A statutory provision allows a defendant, “in an action based on fault, [to] assert as a defense that the damages of the claimant were caused in full or in part by a nonparty.” Ind. Code §34-51-2-14. The primary purpose of the statute was to modify the common law rule of contributory negligence under which a plaintiff was barred from recovery where he was only slightly negligent. Indianapolis Power v. Brad Snodgrass, Inc., 578 N.E.2d 669 (Ind. 1991). However, it also extended some protections to defendants, as it allows the jury to consider the actual causative contribution of any entity in addition to, or instead of, the defendant, to plaintiff’s injury. Even though a non-party is defined to be, “a person who caused or contributed to cause the alleged injury, death, or damage to property but who has not been joined in the action as a defendant”, the courts of Indiana have applied it to parties who were originally named as defendants, but later settled. Ind. Code §34-6-2-88 (emphasis supplied); Mendenhall v. Skinner & Broadbent Co., 728 N.E.2d 140 (Ind. 2000). Non-settling defendants are thus cautioned to consider asserting non-party claims against any defendant who does settle. In order to invoke the non-party allocation code section, the defendant must affirmatively plead the defense, “not later than forty-five (45) days before the expiration of that limitation of action”, unless the time limit is modified by the trial court. Ind. Code §34-51-2-16. It is then the defendant’s burden to prove that the non-party caused or contributed to cause the plaintiff’s claimed injury. Ind. Code §34-51-2-15. The jury shall determine the percentage of fault of the claimant, of the defendants, and of any person who is a nonparty. …. In assessing percentage of fault, the jury shall consider the fault of all persons who caused or contributed to cause the alleged injury…regardless of whether the person was or could have been named as a party. The percentage of fault of parties to the action may total less than one hundred percent (100%) if the jury finds that fault contributing to cause the claimant’s loss has also come from a nonparty or nonparties. The interplay of the two seminal code sections has not been addressed by the Indiana courts of appeal. It is thus unclear whether a defendant must prove duty and breach, as suggested by the word “fault” used in Code §34-51-2-8(b)(1), or simply causation, regardless of duty or breach, as suggested by the word “caused” used in Code §§34-6-2-88 and 34-51-2-14. This issue would arise, for example, when a defendant wanted to include on the verdict form a union who did not notify a plaintiff of the dangers of asbestos. Plaintiff argues the union had no duty to notify; Defendant argues the failure of the union to notify nevertheless contributed to causing Plaintiff’s ignorance. The better argument seems to be that cause should be construed to mean “cause” and not “fault”. This is based on the plain language of the non-party defense statutes and the comparative fault statute’s recognition that the ability to name the non-party as a defendant is irrelevant to the analysis. See AlliedSignal, Inc. v. Ott, 785 N.E.2d 1068, 1071–72 (Ind. 2003), overr’d on different grounds (Indiana court’s “primary goal when construing the meaning of a statute is to determine the Legislature’s intent. Given such deference to legislative intentions, an unambiguous statute is interpreted to mean what it plainly states, and its plain and obvious meaning may not be enlarged or restricted.”) The legislature could have imposed a heightened burden on defendants claiming a non-party defense, but it did not. However, direction and clarification from the Indiana courts of appeal on this important issue is needed. 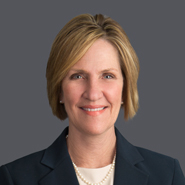 Kate Whitlock is a partner in the Atlanta office of Hawkins Parnell & Young. She has over 30 years of experience in a wide variety of litigation, including professional liability, products liability, premises liability, and commercial disputes. She has tried more than 50 cases and represents Fortune 500 companies and individuals in all aspects of litigation from pre-suit negotiation to trial and through appeal.